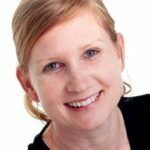 Nicki McCosker-Dell is a registered Counsellor in private practice based in Brisbane. Nicki also creates and facilitates diverse workshops, and she simply loves to share with her audiences practices for positively responding to the various sources of stress that life offers. These are practices that help expand your emotional intelligence, involve healthy problem solving skills, self-care, tapping into personal strengths and techniques to overcome some of the negative wiring of the human mind. Nicki has a Diploma in Counselling, a Masters in Suicide Prevention and previously worked for almost a decade on the front-line of the Queensland Ambulance Service. She has special interests in presenting interactive workshops on topics relating to grief and loss, building emotional and mental resilience, stress and creating mental wellness.